Fitting to Tuesday's update, we would like to provide you with an update in regard to our product's important KPIs. We are referring to our registration process and how we can achieve a 50 % increase in our conversion rates by performing intensive preparations and multiple A/B tests. 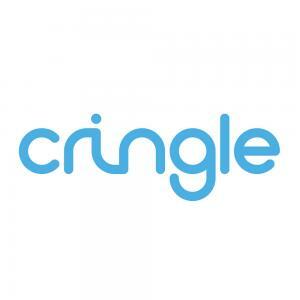 It is Cringle's goal to revolutionize mobile payment between friends. The act of transferring money should be as simple as sending a text message. Most finance apps require the user to complete a complex and complicated registration process. The user has to provide an abundance of information, often including name, address, phone number, email address, password, PIN number, and last but not least bank details and verification. In this case, the critical issue is the complex process of providing bank details. In order to overcome this problem, we have been dealing closely with this process and have tested several alternatives in an A/B test. Our registration process only requires the user to provide their relevant details. 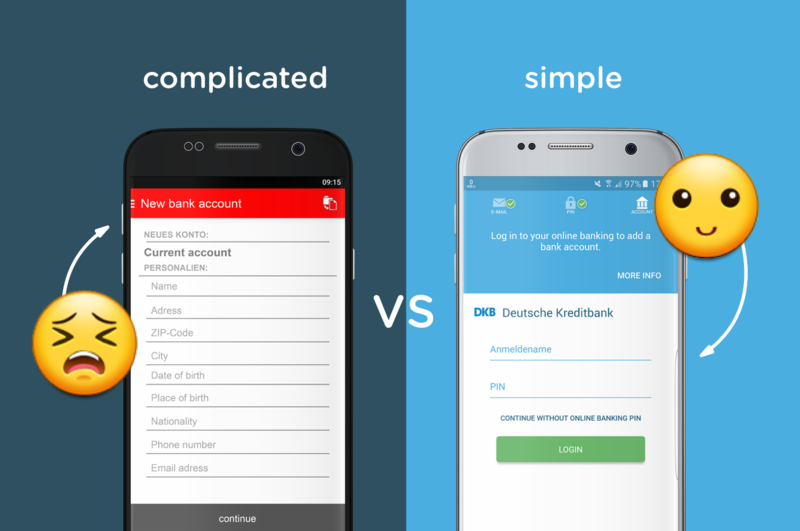 We have tested two alternatives on the step that requires users to provide their bank details. In alternative A, users did not have to provide an account until they intended to carry out their first transaction. In alternative B, users were required to fill in their bank details during the registration process. 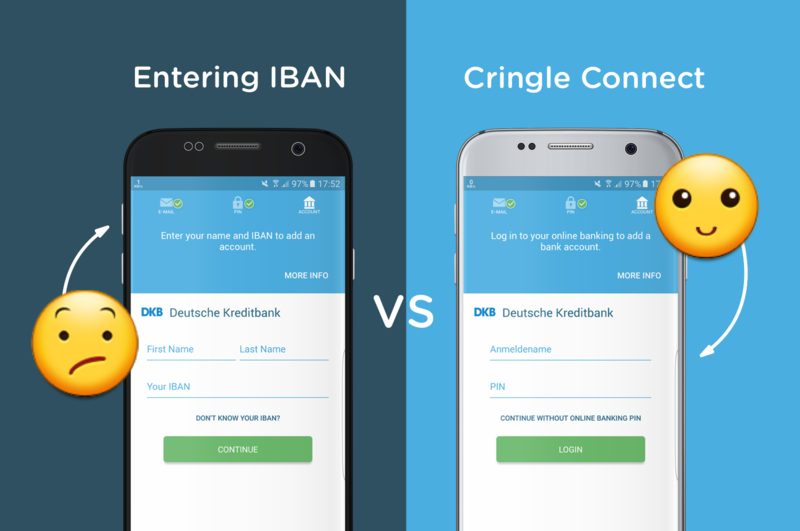 We tested the acceptance of our new direct registration "Cringle Connect" in a second A/B test. This method enables the user to add their bank account directly by logging onto their online banking system and verifying it in the same step. The other alternative requires the user to manually type in their IBAN and the account holder. In this case, the verification is completed by means of a 1-cent-transaction. 1-2 days later, the user is requested to type in a 6-digit verification code from the intended purpose of the transaction into the app in order to activate the account. Following a test period lasting several weeks, we were extremely surprised by the results. 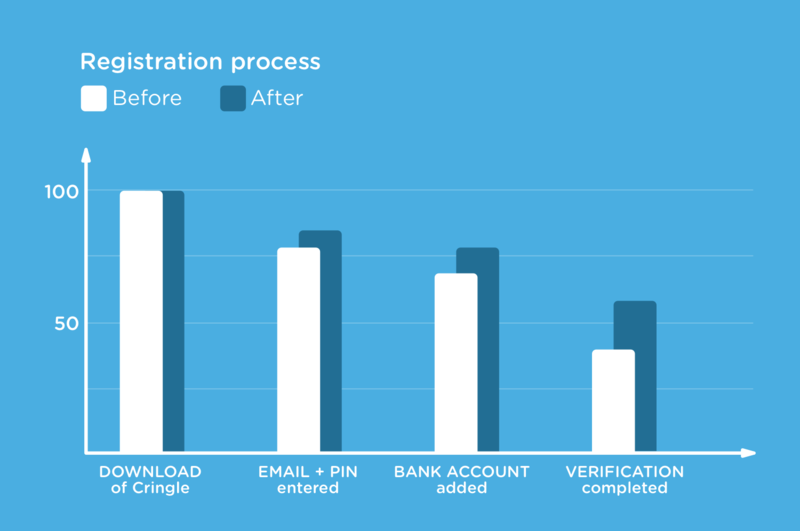 The acceptance of registering with Cringle Connect was much higher than initially expected. Over 70 % of users used this approach for adding their bank account. These users also proved more likely to carry out a transaction. Our second biggest surprise was the fact that many users were willing to provide their complete bank details during the registration process. We finally came to the decision that we would offer both alternatives. Users are now requested to sign into their online banking systems during the registration process. The alternative allowing you to manually type in your details will also be an option. It is now possible to register in under 60 seconds. After completing our test phase, we have achieved a 50 % increase in new registrations. During the same period of time, during which 38 % of installations previously resulted in verified users, this figure has now increased to 57 %. We have also come to realize that our gut instincts are often wrong. A/B tests are now standard practice for the Cringle product team. This approach has helped us in making a lot of decisions. The invested time and resources are worth it in the end.